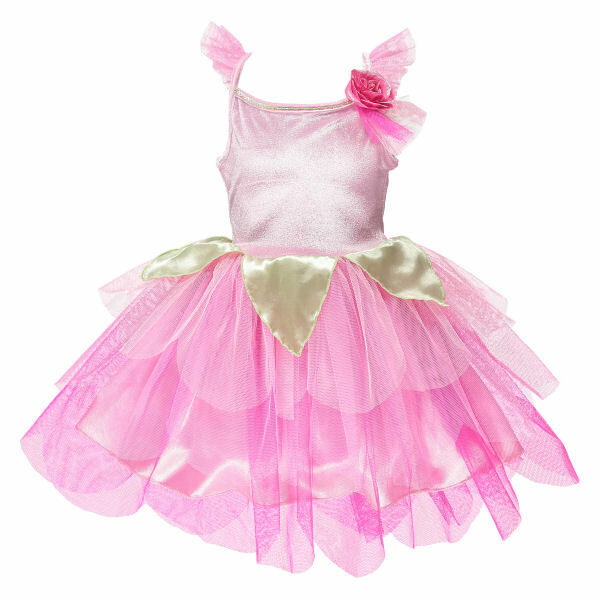 Pretty pink fairy costume with a soft velour bodice. Finished with a pretty glittered rose corsage and green satin petal detail. 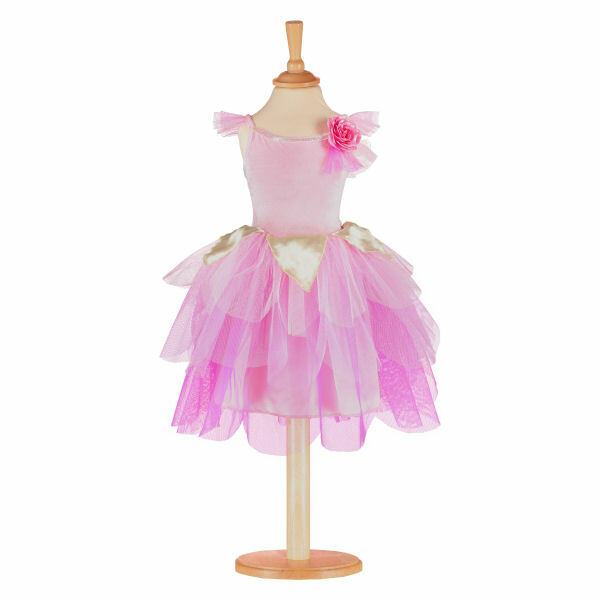 None specified at present for Rose Petal Fairy Childrens Costume by Travis Dress Up By Design. Available in two sizes 3-5 years and 6-8 years. 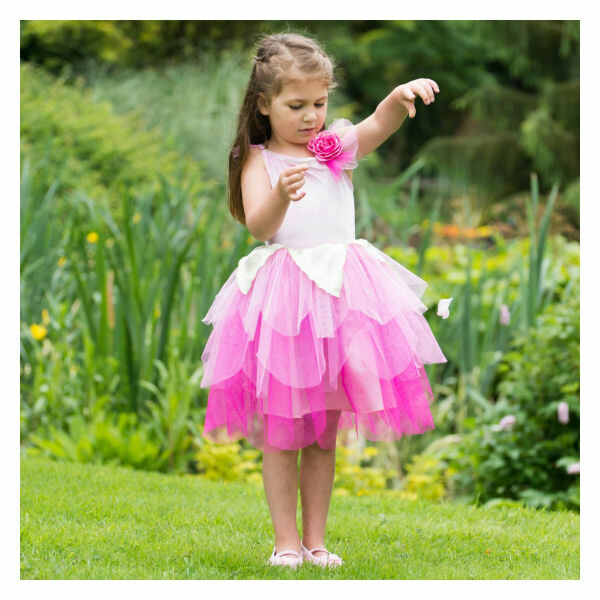 This pretty pink fairy costume has a soft velour bodice, scalloped tiered net skirt and is finsihed with a pretty glittered rose corsage and green satin petal detail. Available in sizes 3-5 years and 6-8 years.